Hey, September! It was a good one. Didn’t get roller skating this summer at all – I don’t work near the Speed Skating Oval any more. The sidewalks in my neighbourhood are far too hilly and I’m not so good at stopping! Worst exercise record all year – only 8 out of 16 work days that I was home – and it shows. As always, there were lots of things to like. Last ice cream cone of the season. There are 3 ice cream stands within walking distance of my house. This summer we decided not to keep ice cream in the house, and go out for it instead. This reduced our ice cream consumption by about 99%. But in the interest of transparency, I did keep fruit-juice freezies on hand! Yard work is ahead of schedule. I spent the month trimming the shrubbery. I have 9 of them that need to be cropped annually – some of them grow over 2 feet a year! (Forsythia and Weigela, if you’re wondering). Meanwhile, the lawn slowed down and only needs mowing once a month in Sept, Oct and Nov. We have also been power washing the siding on the house, after having had so much fun doing the shed. I must admit I felt sad to have obliterated the whole resident spider population, though. Next time, I will gently sweep them off and power wash afterwards. The weather was spectacular, allowing all of the above things to happen! It did not rain the entire week we were in the UK (huh?) and it was great back home all month, too. Only one mild little post-tropical rain day. No wonder we all like Fall the best here. I have decided to start tracking my volunteer hours, not because I begrudge the time, but because I want to know where my time goes. This month it was 20 hours. A neat bit of synergy happened. 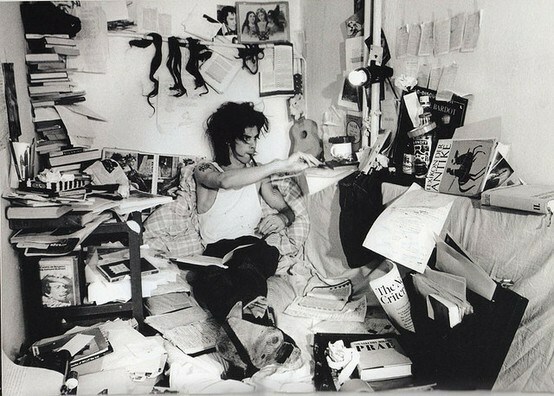 In London, Rom and I saw an exhibit of photos of Nick Cave, taken throughout his career. 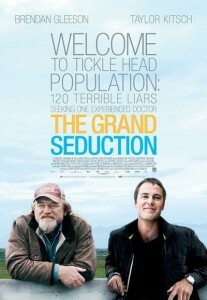 He has a new, autobiographical movie out. On a whim, I checked our local film festival schedule as soon as I got back from the UK, and they were screening it! So we attended the showing, which was at 10 p.m. on a weeknight, and went to work bleary-eyed the next day. 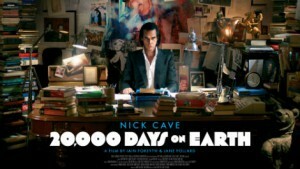 The movie, 20,000 Days on Earth, is best enjoyed by fans or at least those with a little knowledge of his history. But it would be of interest if you like exploring the creative process of a musician. We were most impressed! As a librarian, I think it’s cool that he has his own archives. Rom and I didn’t get to any concerts in London, but back home we went to see the political-folk veteran Billy Bragg. Lefties like him have a rapt audience in Halifax. I’ve never been to a folk concert before (unless you count Great Big Sea) but he has a storytelling style that kept my attention throughout. We bought tix for two rock shows in October. I had a most interesting and serious month of reading. I checked out two decidedly British books to get me in the mood for my UK trip. But Brideshead Revisited took me the whole month to read. I enjoyed it, but it was crawlingly slow at times. I have about a hundred questions about the book (spoiler alert): Why wasn’t the relationship between Charles and Sebastian defined as a gay relationship, when other relationships in the book were labelled as such? If it wasn’t, why did Charles not choose to distance himself from that perception? (They were taken for “fairies” in one scene). Am I the only one who didn’t see the Julia thing coming? How could a man hold his children in such disdain, refusing to even meet his youngest? Did his association with the Flytes benefit Charles or ruin him? And to complicate things even further, the book flip-flops between sincerity and satire. Charles is pining for his golden youth, and for a pre-war mentality that will never return. Of course, there are parallels with Downton Abbey in its preoccupation with social standing. As someone who was raised Roman Catholic, I was interested in the author’s take on the religion, and I wondered how the RC faith played out for him, since he was a convert. I could go on all day…I would like to read some literary criticism on it, or at least a cheat-sheet! Meanwhile, I must watch both the TV mini-series and the 2008 movie. I think it has messed with my head to read for a whole month about societies with strict social class systems. I will have to remedy that in October! As you know, I also read and reviewed The Transgender Child. This month I have a serious book to read for book club, and of course, I left some heavy books to finish last for Reading Down the House. Hope you had a good September! Sounds like you had a wonderful September, lack of exercise not withstanding 🙂 You sure accomplish a lot in one month!!! I don’t know if I accomplish so much or if I just yack a lot 🙂 Thanks! And then backed it up with the Nick Cave movie. My life is unfair, Dar! The rest of the month and reading sounds excellent. As for the spiders: I think the rule applies that they were in ‘your’ territory. They’re not allowed to cross the line from garden to house here. All bets are off! Billy Bragg used to come here every year. When I told Rom that and we hoped to go see him, he promptly didn’t tour here for the next 5 years! So it was a long wait. I know that it takes a lot of $$ for European and North American bands to tour Australia, that they would play a limited number of venues, and not come back very often. I used to feel like you did – bands were constantly announcing cross-country Canadian tours, and then I would find out they were touring from Vancouver to Montreal! Still true a lot of the time. So we pounce on any bands that come here, in case they don’t return! We get a reasonable variety of bands now that they make most of their money from touring rather than recording. You know Billy Bragg toured here in March this year? I didn’t go cause I had too much on and Mr S has said he will not go to any more Billy Bragg concerts with me. I love him! A chance discovery when I was at uni and I was hooked. Seem him live four times. And have his book, “The Progressive Patriot”. He does seem to tour here every three years or so. Maybe when he has a new album? Sounds like a great month and, as always, thanks for the reading ideas! It was nice to take a break from new stuff and read some classics! 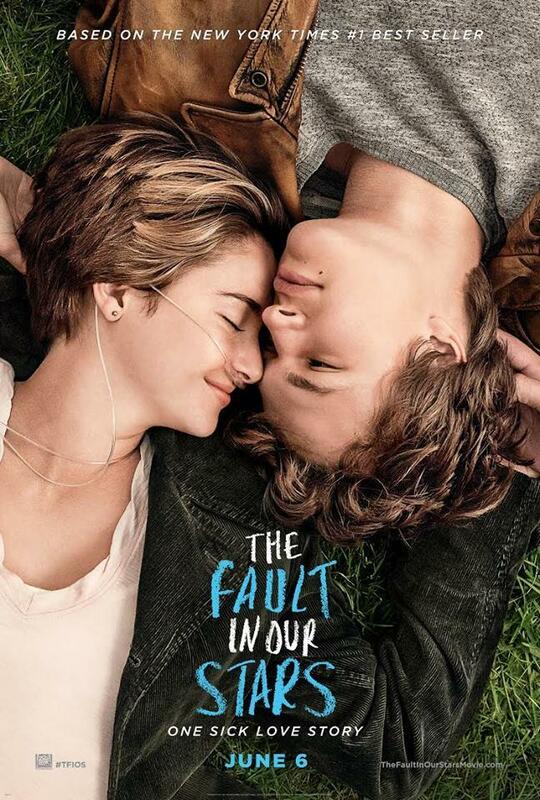 I watched The fault in our stars the other day (alone) and cried. It was theraputic. I also loved About Time which had lots of great dry witty English humour 🙂 Sounds like a great month all in all! I should see About Time; I like Domhnall Gleeson – he was in Anna Karenina, too. Hope all is well and you have time for more than work and sleep! Glad you finished the summer off well. Trip to the UK is a highlight. Have a great Autumn. Brideshead is one of my favorite novels ever. I have read it and re-read it. And watched the long version of the movie over several straight days. Your questions about the book are good ones, and for me are part of the appeal of the book. I am really looking forward to reading about what others have written about the book, and what they choose to focus on in the films! I like you keep track of your accomplishments for the month, it’s very appealing to summarise. I have been unproductive, can’t seem to get any traction this year! Well, I don’t summarize my plentiful nonproductive time 🙂 There is a place for that, too. I like all sorts of personal finance books except for the investing ones…ugh! But that probably doesn’t serve me well. It took me forever to get a copy from the library, too! One thing we always tell people at the library is: despite the long lists, there are usually lots of copies. For example, 400 holds and 40 copies mean that effectively there are 10 people waiting for each copy. Also, all of the holds aren’t active – loads of people suspend their holds until a later date, and that isn’t shown on the screen. What a busy month you’ve had! When my husband first got his water pressure cleaner he had so much fun with it. I joked that if I stood too still he would clean me! Ha! I think October will be just as busy with NYC trip. So no ice cream in winter? Is that just a personal choice or is it not sold? Just a personal choice – last year we had ice cream at home continuously all winter. And I had it every day and could not ignore it. So this winter we’ve decided not to keep any in the house!